Recorded live at the first Tuesday Taproom Tour event, hosted by Northgate Brewing. Featuring between-innings banter, trivia, sing-a-longs, and questions from the audience. 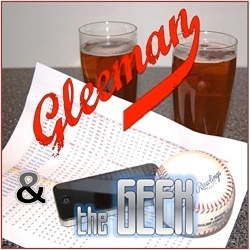 Topics for this week's "Gleeman and The Geek" episode with guest co-host Parker Hageman included returning to KFAN, the Twins looking more and more like the bad team many expected, Byron Buxton's ongoing struggles, swapping Adalberto Mejia for Kennys Vargas, Hunter Greene vs. Brendan McKay for the no. 1 pick, choosing the wrong Korean league slugger, and Miguel Sano going an eye for an eye. Gleeman and The Geek #305: Hey Girl! Topics for this week's "Gleeman and The Geek" episode included Byron Buxton's extreme struggles, Miguel Sano's walks-and-homer show, chef Jeff's duck pastrami salad at Iron Door Pub, raising eyebrows at the Twins' pitching and especially Phil Hughes and Kyle Gibson, detailing some not-so-minor injuries down on the farm, reminding you to hang out with us and Twins general manager Thad Levine, and interrupting a potential date. Topics for this week's "Gleeman and The Geek" episode included the Twins' excellent first week, reuniting at Tin Whiskers, rehashing the decision to carry 13 pitchers, debating the logic and mysticism behind the Twins' batting order, detailing the Baseball Prospectus event at Target Field, wondering about the struggles of Byron Buxton, talking way too much about Michael Tonkin, evaluating the Twins' improved defense, and discussing college tours. 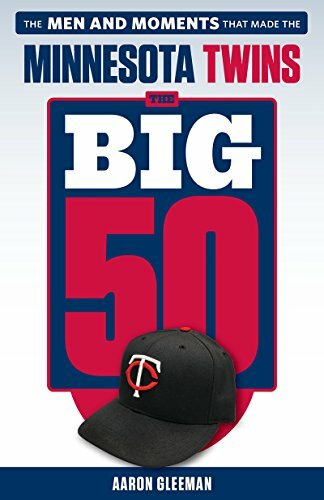 Topics for this week's "Gleeman and The Geek" episode with guest co-host Nick Nelson included the Twins setting their Opening Day roster, keeping 13 pitchers, sending down Byungho Park, Kennys Vargas, and Jose Berrios, the winner of the Adalberto Mejia vs. Tyler Duffey rotation battle, Ricky Nolasco atop the Angels' rotation, Target Field getting rid of Butcher and the Boar rib tips, and early impressions of the Derek Falvey/Thad Levine front office. This week's blog content is sponsored by Pick and Shovel Wear, which offers creative, original, Minnesota-made apparel. Use the promo code "GleemanGeek" for free shipping, plus a chance to win an Kyle Gibson autographed baseball.